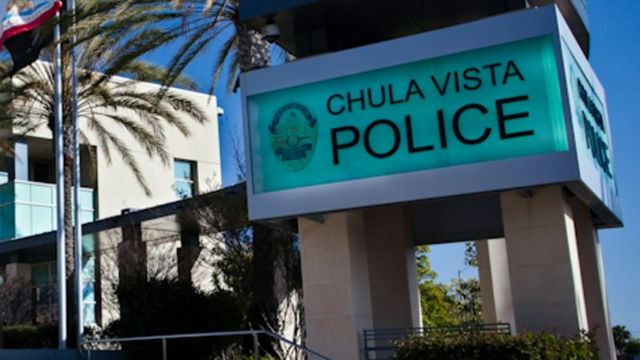 A woman was critically injured when she was hit by a car in Chula Vista, police said Saturday. It happened shortly after 8:15 p.m. Friday on Oxford Street near Third Avenue, Chula Vista Police Officer Javier Castillo said. Investigators believe the driver was heading east on Oxford Street when the woman entered the roadway. The force of the impact knocked the 56-year-old victim to the ground, Castillo said. She was taken to a local hospital with life-threatening injuries. Castillo said the driver remained at the scene and was cooperating with police. Drugs or alcohol were not believed to be factors in the crash.